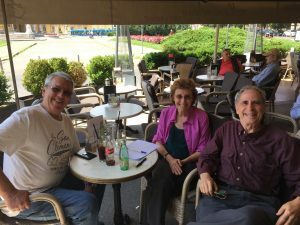 Even before Tomislav (Tom) Huić, Vice president of Alzheimer Croatia had a personal involvement with dementia, he was helping the Croatia Alzheimer’s Society with their marketing. As a professional marketer and co-founder of a successful ad agency, he wanted to help the fledgling, all-volunteer non-profit, and he often offered them his professional expertise. Then his mother began having memory issues and Tom became more involved. Today, he is one of the three full-time volunteers who run the 20-year-old agency. 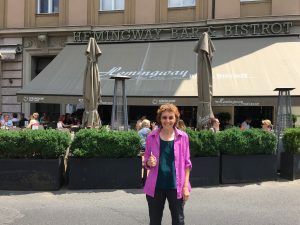 We met with Tom at the Hemingway Bar and Cafe in Zagreb, Croatia, wanting to learn more about ways the society was educating and assisting people across the country and the region. “Every year, we offer a professional workshop,” he says. That workshop, plus donations, provides the Association’s only operating money. Tom understands the importance of collaboration and education. With a grant from the European Union, he and partners created dementia training materials for nurses. They presented the information to healthcare professionals in parts of Croatia and Slovenia. The programs were well received and he is working on presenting them in other parts of the region. Tom also created a partnership with pharmacists in Zagreb. When elders came in to pick up medications, they were invited to take a short cognition exam. Sixty percent of the participants failed the test and they were given contact information for the Society. But only a handful of those contacted Tom and his team. They are collaborating with nursing homes and with governmental health agencies to provide guidelines for memory care beds. No money. No budget. Lots of ideas. Too few people and too few finances to implement them. 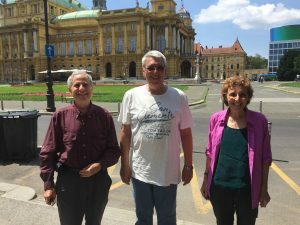 The task ahead of Alzheimer Croatia seems daunting. But Tom and his team are not daunted. They are educating family and professional care partners through a variety of pathways, offering much needed information and support.